I've always been a fan of personalised items and even though I'm an adult I can't deny that I do still tend to get a little bit giddy when I spot something an item which has my name on. Last year I stumbled across an online costume jewellery store called Cherry Diva and I was instantly drawn to their custom personalised cuff bangles. So much so that I decided to buy myself one personalised with my blog name. All the personalised cuff bangles are handmade, hand stamped and are made from a hypo-allergenic material which means that the bangle shouldn't tarnish or discolour the skin. 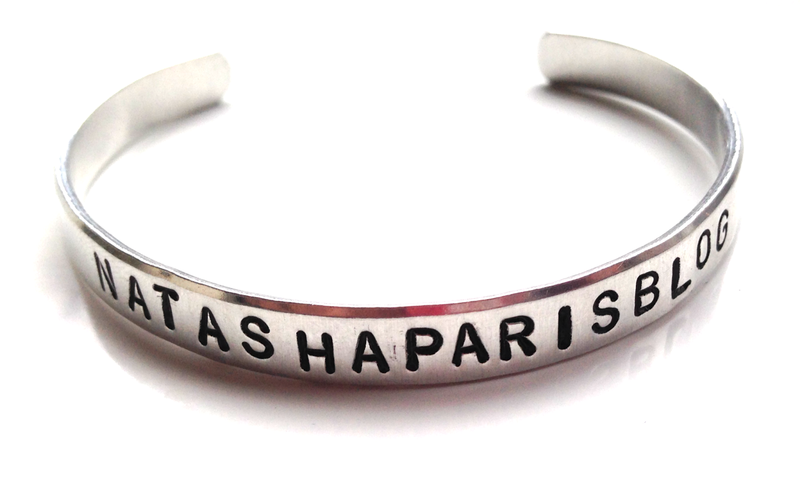 Each bangle measure 15cm in length and can be stamped with up to 30 characters (including spaces) - which can be a mixture of letters,numbers and symbols. A full list of the characters you can choose to have stamped on your custom bracelet can be found here. 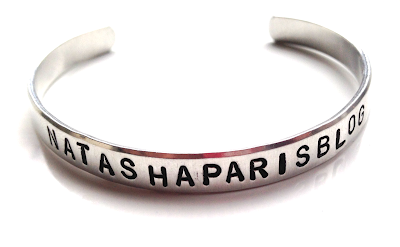 As the bangles are hand stamped no two will ever be exactly the same and this does mean that some of the lettering can appear not to be perfect, however personally I feel that this gives the bangles character and makes them truly one of a kind. I think a custom bangle is a lovely costume jewellery piece to have and I still enjoy wearing it regularly,despite having had mine for a while now. The giveaway is open to UK residents only, sorry international readers. For your entry to be valid you must complete the mandatory entries - by completing any of the other entry methods you will gain aditional entries into the draw. The giveaway ends at 00:00 Friday 12th February 2016. After which a winner will be chosen at random. I will verify that the entry methods chosen have been carried out before contacting the winner. I will also announce the winner on social media. The winner will have 48 hours to respond, if the winner fails to make contact I will redraw and another winner will be chosen. Please note: this is not a sponsored post, all opinions and views are my own and as always are 100% honest. The giveaway prize is very kindly being offered by the lovely people at Cherry Diva.